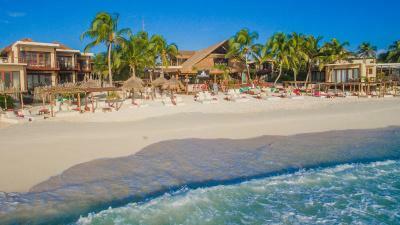 Lock in a great price for La Zebra a Colibri Boutique Hotel – rated 9 by recent guests! Gorgeous property, views and beach. Wonderful attention to detail, and super friendly and attentive staff. It was beautiful! The staff were friendly and helpful! Loved the vibe! Was so relaxing! I loved the beach club and the room was really comfortable and clean. Location is excellent too. Extremely comfortable hotel. Staff was always helpful. Food was good. Great hote to bring your kids. Definitely would return. Beds are comfortable, the staff is good. 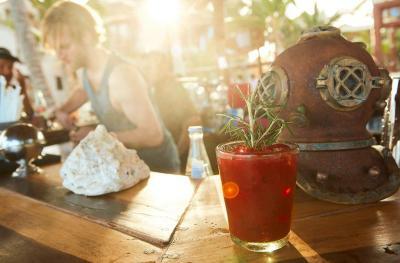 Beach bar is one of the best in Tulum. This property was amazing! So perfect for a vacation with kids. The staff were so attentive, and the beach had the purest white sand. 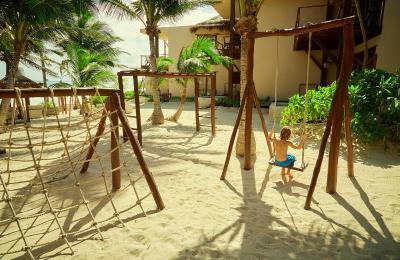 It is the best resort in the area for children. We met people from all over the world! I was in la zebra with 2 friends for a week. The room was excellent with an amazing view. The staff was incredibly wonderful. I really enjoyed staying there and would definitely come back. 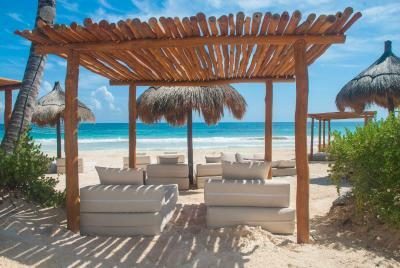 We loved the option of an open or covered beach bed, or a lounge chair upstairs near the pool. 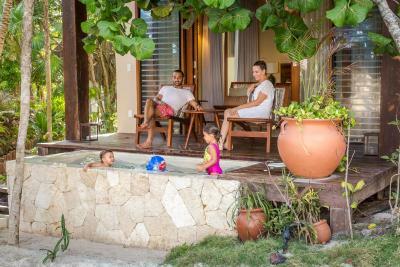 The plunge pool was nice when we needed to cool off. Had the option to heat it but didn't need it. The beds were super comfortable. The food at the restaurant was great. Especially loved their chile morita sauce. Tulum Pueblo was an easy 15 minute (150 peso) taxi ride. We ended our trip with a couple days in Cancun and wished we were back in Tulum instead. Had a great time!! I loved how the rooms were decorated, eco chic details. 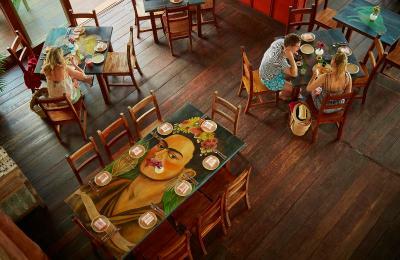 They provide coffee service, mezcal set up & tea at night all in your room. If you prefer a cappuccino the restaurant had the best ones! And the staff were so sweet, friendly & very helpful! 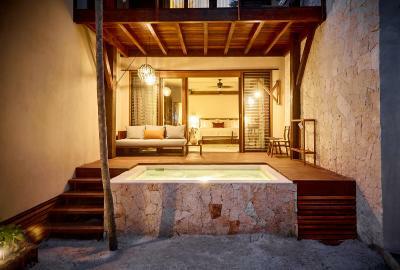 We stayed in the Beachfront Ground Floor w/ Plunge Pool and it was incredible. We paid a pretty penny for it which made us extremely aware of any faults in the stay. What no one seems to mention is how great the new pool is on the 2nd floor of the main building and the lounge space up there. The pool offers the chance to swim very long laps if you feel, and is usually super empty. 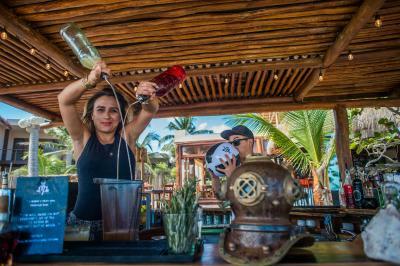 The drinks and service are top notch at the restaurant, although some of the menu items are a miss (but most are excellent). Note that this is a "fun" hotel as opposed to a "Relax" hotel so if you want super peace and quiet this probably won't be your place, though it is by no means a party hotel. Very family friendly and if we come back with our son this will most likely be the place we stay. 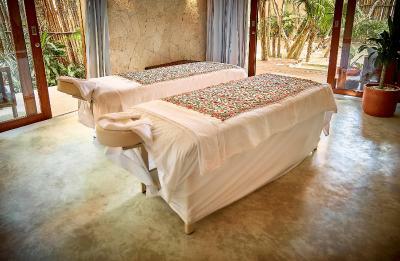 La Zebra a Colibri Boutique Hotel This rating is a reflection of how the property compares to the industry standard when it comes to price, facilities and services available. It's based on a self-evaluation by the property. Use this rating to help choose your stay! This boutique hotel is one of the best “Beach Chic” experiences in Tulum. 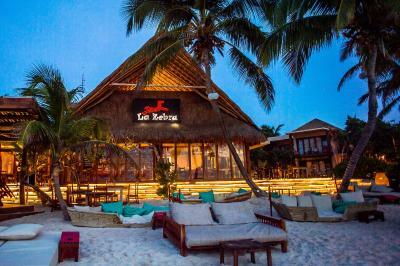 Fun and vibrant, La Zebra is a luxurious haven for all who are looking for an amazing time on the beach. 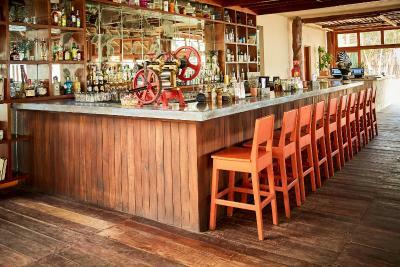 It offers a phenomenal dining experience, customized drinks and amazing music. 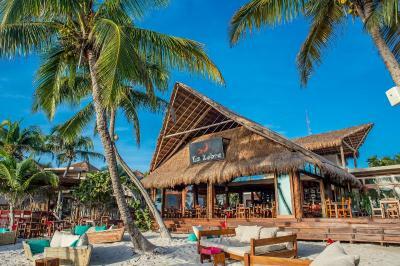 Whether it’s a family vacation, a romantic getaway, or a fun escape with friends, this is the most popping place where you can become part of the Tulum scene. 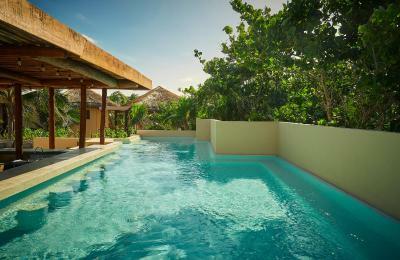 When would you like to stay at La Zebra a Colibri Boutique Hotel? This suite has a balcony, sea view and mini-bar. 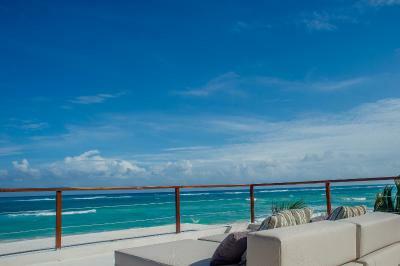 Beachfront Penthouse with Plunge pool. 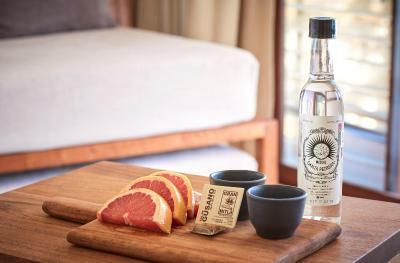 House Rules La Zebra a Colibri Boutique Hotel takes special requests – add in the next step! La Zebra a Colibri Boutique Hotel accepts these cards and reserves the right to temporarily hold an amount prior to arrival. 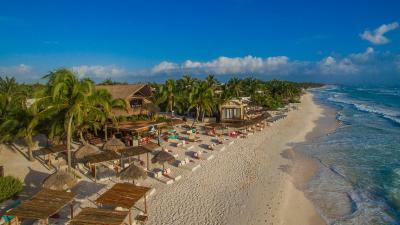 Please inform La Zebra a Colibri Boutique Hotel of your expected arrival time in advance. You can use the Special Requests box when booking, or contact the property directly using the contact details in your confirmation. Reception: Isolated, what makes them less energetic to help out with questions Restaurant: If the management wasn't at the restaurant, it all went wrong. From chicken instead of fish on our plates to little girls that have to wait more than hour for their food (after all are finished). If the restaurant management was in, it was all beyond perfect. 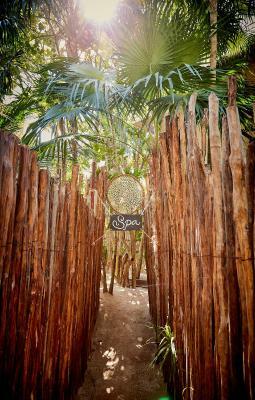 The huts, the common spaces, the set-up at the beach, the barefoot facilities - all perfect for a relaxing vacation. Love the restaurant great food. Seeweed issue at the beach. One of my best holidys ever. Superb hotel - small and private. Very friendly staff, amazing service. Will definitely return there! Room was very comfortable and clean with a beautiful view of the ocean from the spacious balcony area. Absolutely loved the small details like tea service every night and complimentary cappuccino in the mornings. The staff is wonderful and very accommodating. 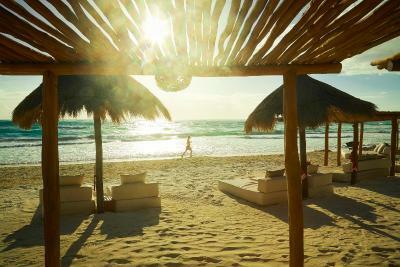 The beds on the beach were perfectly situated and the service was superb. 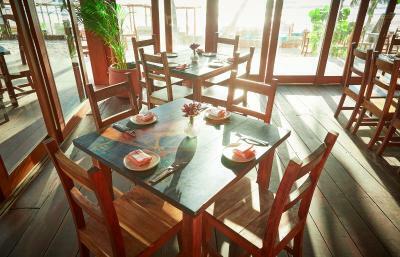 It was the perfect spot to enjoy breakfast by the waves or sip on a delicious fresh juice cocktail. Would stay here again in a heart beat! We felt it was very overpriced for what it was. It promised a lot - the reception staff are terrific and when you check in they offer to cater for all that you need - but the restaurant service is not flash (slow and a bit sullen) and nor is the housekeeping. The food at the restaurant is ok but not amazing, and again, pricey. I also wouldn’t say this is really a family hotel. Some hotels really embrace kids, this one more just tolerates them. I totally get that adults traveling without kids need relaxing time but it doesn’t make for a great family holiday to have to tell your kids to be absolutely silent lest they annoy someone either. 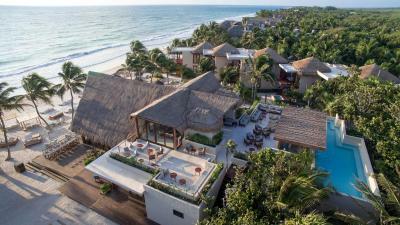 Overall we would seek a different hotel if we returned to Tulum (which is beautiful). The hotel is in a lovely location on the beach (leaving aside the current seaweed problem). The rooms are nothing spectacular but they’re pretty nice, big balconies. The pool is very small but nice to have and the pool deck is lovely. The service was kind of slow and got it wrong all the time. 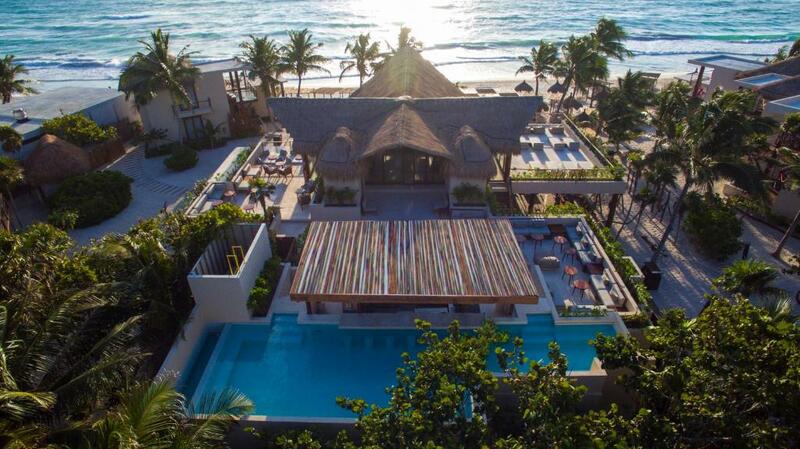 Amazing place , very nice rooms, nice on the beach. this hotel is so nice and the staff are incredibly accommodating and welcoming. Out of their control, but there was too much seaweed. Nothing at all. It was spot on in every way. The service and attention was AMAZING. The rooms were BEAUTIFUL. The pool beds were GORGEOUS. The food was SO GOOD. I can’t even explain how amazing this stay was. There were little welcoming touches and daily touches that made it even more special. We stayed for 5 days out of our 4 week honeymoon and it was by far the best place we stayed. It’s the best place we have ever stayed!! !